Getting Healthy is Easier Than You Think! One of the common themes that I run across when I talk to people about nutrition and fitness is that it’s too hard. Now, in a way, I can’t blame them. They have this picture in their mind of running or going to the gym for two hours a day. They also have a picture of having to live on salads and tasteless foods. And so, they just get overwhelmed and give up even before they start. But these are false ideas. In fact, if you were to start a fitness or nutrition program in that manner, you are almost for sure doomed to failure. Sure, you might last a few weeks, but that’s probably about it. Back in the mid-1970s, I saw a sign on the wall of a yoga studio at which I was taking classes. The sign read “The best way to make progress quickly is to make progress slowly”. And that applies to eating in a more healthy way and getting some fitness into your life. Let me give you some examples. When it comes to improving your nutrition, there are number of approaches. The simplest and easiest way, however, is to substitute healthier foods for those which are less healthy. 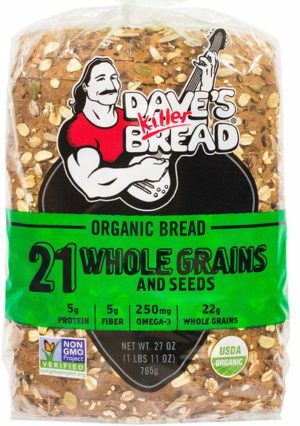 So for example, instead of eating white bread or the like, substitute whole-grain breads such as Dave’s Killer Bread Thin-Sliced 21 Whole Grains and Seeds, Ezekiel 4:9 Sprouted Whole Grain Bread, or Oroweat 100% Whole Wheat bread. Not only are these really-tasty breads, and really healthy for you, but they’re also quite filling. That way, you’re not going to wind up hungry half an hour after eating your sandwich. The same concept applies to substituting other foods. Substitute spinach for that iceberg lettuce you been eating. Cook up some whole-grain brown rice, or, better yet, some barley and eat that instead of white rice. For pasta, I love Trader Joe’s Organic Brown Rice and Quinoa Fusilli Pasta. (Read about it by clicking here) Believe me, I’ve tried lots of whole-grain pasta that tasted like cardboard, but this stuff is pretty darn good. In addition, one cup of dried pasta (cooked up) provides 10 grams of protein. This can be really helpful if you’re cutting down on meat and dairy in your diet, and you’re looking for a good protein source. 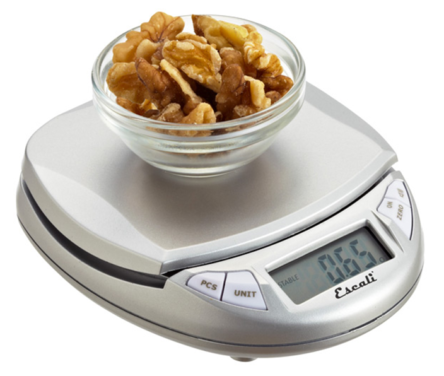 Another way to help clean up your diet is getting a food scale. You can get a nice digital food scale for less than $20. Then, all you’ve got to do, is start weighing the food you’re eating. This generally is not going to apply to foods that are automatically portioned. For example, you don’t need to weigh slices of bread or vegan cheese. The same thing goes for pie. I love pie, but I cut my pie into 16 slices and just have one slice a day after my evening meal. On the other hand, I find my scale really handy for when I buy foods like Trader Joe’s (frozen) Roasted Potatoes with Peppers and Onions. The potatoes have been cut up into nice little bite-sized pieces, which I really like. They come in a 24-ounce bag, and I like to get 3 meals out of that. So, I just get out my handy scale and weigh out 8 ounces. Of course, you’re going to want to also use the scale to limit how much food you eat at a meal. So if you’re still eating meat, maybe limit your serving to 6 ounces or less. Now, let’s talk about fitness. OK…let’s use the “E” word…”exercise”. Do you cringe even at the sight of the word? Well, you’re not alone. Many people just go blank when they see/hear it, and change the subject ASAP. But, as I mentioned at the beginning of this article, I’m not talking about “running or going to the gym for two hours a day”. Please read what I am about to say; it’s important. All you need to do is to start with a very-small effort. I could not recognize her at all, as she had lost about 40 pounds. She told me that she had started out just walking up and down the block every day. After a couple of weeks, she started walking two blocks daily. And then three. Eventually, she was walking a few miles, and the weight came off. She also changed her diet and how much she ate, which is a must. Generally, portion control is how you lose weight, and exercise is for health. If you walk and burn up 100 calories and then eat 3,000 calories a day, you’ll not lose weight. To learn more about nutrition, go to https://middleage.org/good-nutrition/ . In addition, strength training is a big help in getting healthy. Now don’t start envisioning yourself pumping iron for hours, or at all (at least to start). There are plenty of bodyweight exercises you can do that will really be beneficial. As a matter of fact, if you go to this location: https://middleage.org/physical-fitness/ you can download a free eBook on bodyweight exercises. In addition, there are some links to some good videos that you can watch. 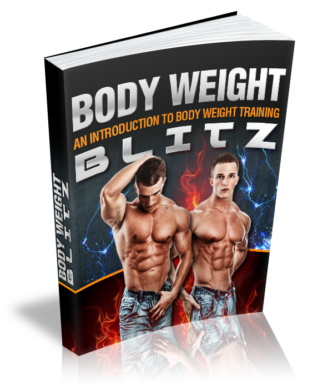 So, let’s say you went to my site and decided to follow a bodyweight exercise program. Maybe start out by just doing 3 pushups, maybe even doing the “girlie” ones where you rest your lower body on your knees instead of your feet. Just do 3. The same with the other exercises. Just do a few. BTW, be sure to keep a record, on paper or on your digital device, of the date, what movements you did and how many. I explain all of this in the Physical Fitness section of this site. And then, maybe in 2 days, do another set of exercises, same numbers. 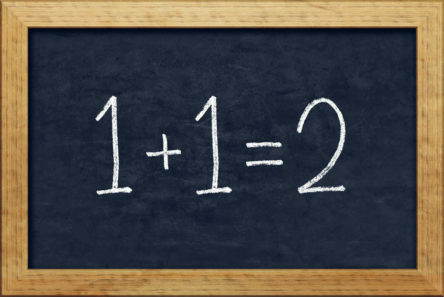 In about a week or even more, try to increase the number to 4. Take it easy, go slow and feel great, as well as feeling great about yourself. Here’s another important point: exercise will help you feel better. Not only will you feel more energetic and alive, but many studies have shown that exercise is a great help in relieving depression. Thanks for reading this, and see you next blog.